What is New With All About Reading? 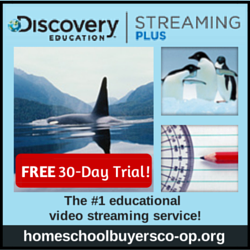 If you have been following along on our homeschool journey, you may already know that one of the programs that we love and are most loyal to is All About Spelling. My oldest taught himself to read (with a little help from the leap frog videos) at the age of three but struggled with spelling. We had tried traditional spelling books, word walls, copy work, and other assorted programs and styles until I was at a loss. Finally, I found All About Spelling and it really clicked. At that time I did not switch over to All About Reading because both my oldest and my second child were already reading well and I was not looking for another phonics program. However, my third child will be five in a few months and start ‘Kindergarten’ next year which in our home means we will at least introduce him to a phonics program and see how things go. Depending on how he does with it, we may keep going or we may hold off a little longer until he is developmentally ready. In looking at various programs I have been highly considering All About Reading. I know that I will be using All About Spelling with him when the time comes and I love the idea of the two programs that are set up with similar styles and working together for an all around literacy program. Knowing that I was considering it for next year, I was very excited to learn about their new color edition. The color makes it very visually appealing to young learners and can help with engagement. 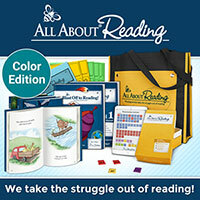 In addition to the full color activity books and heirloom quality readers they have also fully updated the teachers manuals with full color and an additional 56-72 pages of material per level. I wanted to dig a little deeper and I was given the opportunity to try a sample lesson. I used a lesson from the level four program and gave it a try with my daughter. I knew going into it that it should be a review for her but I wanted to see how the style worked and what she thought of the new activities. She really enjoyed it and thought that the game she was able to play was a lot of fun. She told me that she thought the reading program was, “cool”. For this particular game she had a set of word cards that had a gopher on one side and the word with another gopher on the opposite side. She had to pick up each card, read the word on the card correctly and then she could place the card through the slot on her paper that made it appear the gopher was going into his hole in the garden. It was quite simple but as she stated she really enjoyed it and it made the practice more fun. The lesson we worked on taught the ph phonogram. First with the flashcard and repeating after the instruction that ph says /f/, two letter /f/. Then after a bit of review and practice you moved onto reading words using that phonogram and the other letter tiles. First together and then independently. Once you felt they had grasped the concept you could move onto the activity and further review as needed. All About Reading is a great systematic way to teach phonics. Much like the spelling program it goes through each step making sure to teach both the rules and the exceptions. They do a good job incorporating various learning modalities throughout the program. I have found that even though I have memorized how to read or spell a word, there are rules that they teach that I never learned. 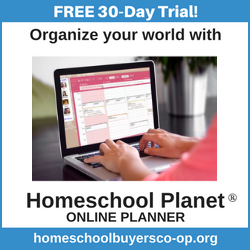 This new updated program keeps all of those positives and adds in some extra helps for you as the teacher and the addition of the beautiful full color pages. I highly recommend that you take a look and see if this might be the right reading solution for your family. You can even try the sample lesson! When you sign up for the Schoolin’ Swag free resource library you will get a link and password to the library, we are adding to the library each month with new items. You will also get a bi-weekly newsletter email to keep you up to date on what we have going on. My Snowman Paul is Free on Kindle and many others in the series are less than $1. Are you looking for a free Bible study that your whole family can enjoy? The Proverbial Homemaker is offering up a study of James that is FREE for a limited time. Did you join us last week for the FREE five day activity challenge? To keep the fun going, and keep making memories with your kids, Jamie has a program called The Activity Room that I know you’ll love, so I have to share about it just a bit, plus it is only open for enrollment a few times a year and enrollment JUST opened TODAY. What this means for you, right now — is that The Activity Room is open for enrollment only through this Thursday, January 24th. After that time, she’ll close down to focus on her members and won’t open the doors again until May. Posted on January 21, 2019 January 21, 2019 by dawnpelusoPosted in homeschooling, Language Arts, Product Reviews, Reading, resources, UncategorizedTagged All About Reading, Phonics Program, Reading Curriculum. Previous Previous post: Changing Up Curriculum Without Overspending!